Presenting a Red Hat Society Christmas tree ornament with authentic Swarovski rhinestones. 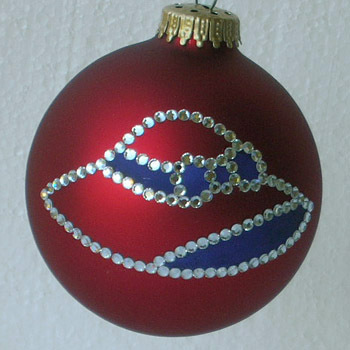 Red Hat Society Christmas tree ornaments with authentic Swarovski rhinestones can be purchased at Designer Ornaments. Red Hat Society Christmas tree ornaments featuring the Red Hat Society hat logo can be purchased at Designer Ornaments.